While Folsom Reservoir must serve statewide water supply and environmental needs, the groundwater basin is the Sacramento region’s reservoir, available to meet our needs. The Sacramento region’s groundwater resources play a critical role in meeting our community’s water needs. Groundwater meets more than a third of the area’s water supplies during a normal year, and even more during drought periods. While this underground water supply is being depleted in other parts of the state, the Sacramento region’s groundwater aquifers are stable and sustainable. 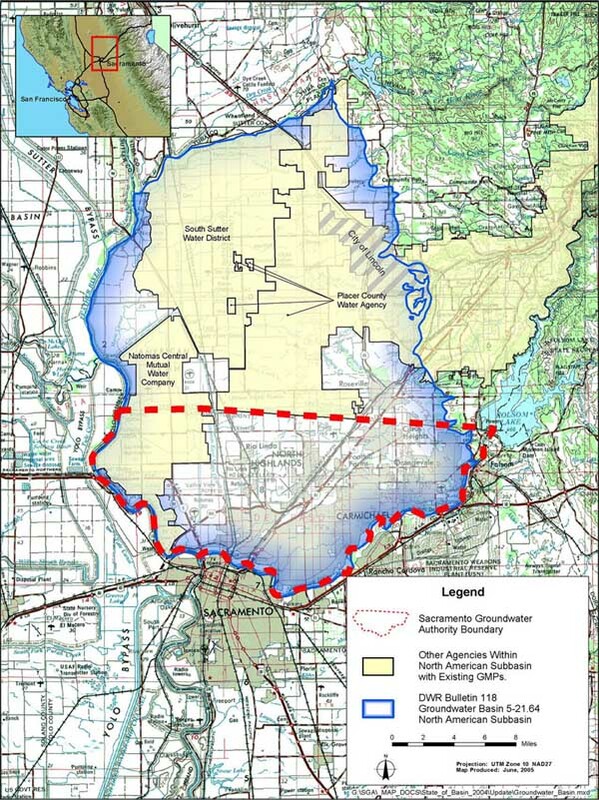 Building on the historic Water Forum Agreement in 2000, local water managers created three groundwater management institutions–the Sacramento Groundwater Authority, Sacramento Central Groundwater Authority and West Placer Groundwater Management Program–to address each part of the region’s varying needs. Within this institutional framework, local water providers have invested many millions of dollars in projects and programs needed to recharge and store groundwater, expand surface water in wet years and reduce water use through conservation. We contribute to our groundwater savings account in wet years so it’s available in dry years. Since 1998, more than 200,000 acre-feet of surplus water has been stored in the groundwater basin in Sacramento County. This locally driven management system and the investments made have been critical to meeting the region’s needs during the drought–without damaging the long-term health of our groundwater.